Posted September 23rd, 2013 - News Posted for ISA News. 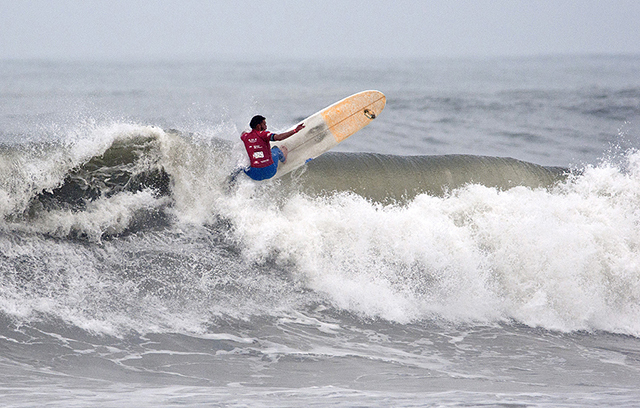 Day 1 of the ISA World Longboard Championship (WLC) kicked off on Monday with firing waves and incredible performances in Huanchaco, Peru. 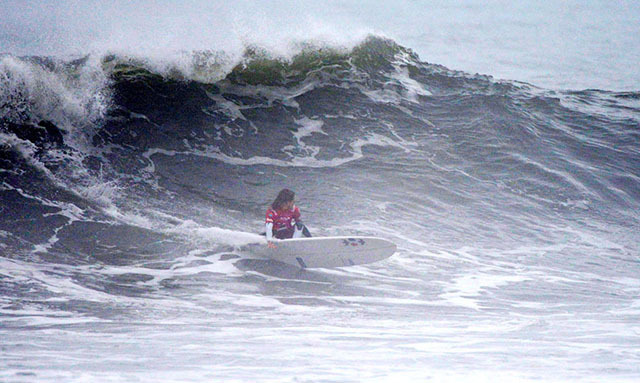 The surf during the first day of competition ranged from 6-8 feet with many rides 200 yards long. The waves at Huanchaco allowed the surfers to perform multiple maneuvers in a ride including critical turns, big cut backs, huge floaters and nose rides. The surfers had to pick their waves wisely and be tactical because the paddle back out to the line up was long. Some surfers opted to run back up the point on the beach. The first day featured Qualifying Round 1 for Open Men, Open Women, and Junior Under-18 for a full day of action-packed surfing. In the Open Men’s, South Africa’s Thomas King was the stand-out of the day earning the division’s highest total heat score of 13.77, defeating Venezuela’s Francisco Hernandez (8.96), Hawaii’s Kai Sallas (8.1), and Italy’s Alessandro De Martini (5.4). In Open Women’s, France’s Justine Dupont put on a dominant performance earning the day’s highest total heat score of 13.83, defeating Hawaii’s Megan Godinez (6.27), Venezuela’s Adriana Gamero (5.60) and Japan’s Shio Okazawa (4.13). In the Junior’s, one of the standouts was Australia’s William Crowe, who earned a 10.56, defeating New Zealand’s Jordan Griffin (8.93) and USA’s Nick Anderberg (6.0). The 2013 ISA World Longboard Championship resumes Tuesday at 7:40am with The Morning Show.